Avishai Levy was defined as the “wonder boy” of the Eastern music of the eighties, when he was just seven. Avishai served as one of the main vocalist in the legendary children’s choir “Pirchei Yisroel”, which appeared throughout the country and around the world. In 1988 was Levi’s debut album “Mi El Kamocha” won a great success, Levy has since issued five studio albums that were a milestone in music penetrated the eastern border broke out to new audiences varied + collection comprised within the best hits of the Levy. After the musical silence of several years focused on building the family unit and other areas, a big comeback Levy returns to center stage and activity of Mizrahi music accompanied by a new band lineup with first class musicians and a variety of surprising new album. 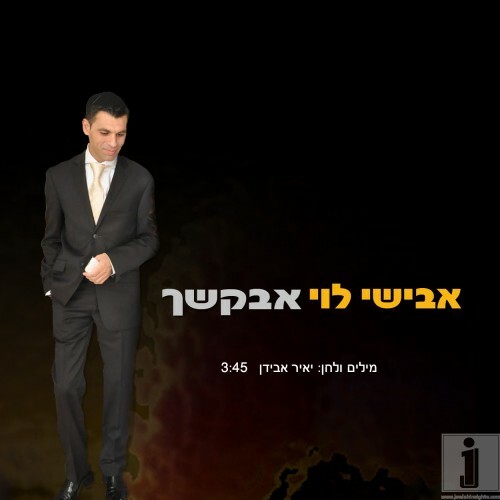 “Avakshecho” – is a moving ballad from the depths of Avishai’s heart that seeks “Please God, please answer me please God what is happening to me … hear my voice calling you … notice me not gone from you.” Yair Avidan wrote the lyrics that relate to music powerful.